Have you been bitten by the organizing-new-year-clean-out your-junk bug?? I have! I’ve been on a mission to simplify problem areas in our home while making our family routines run more smoothly. 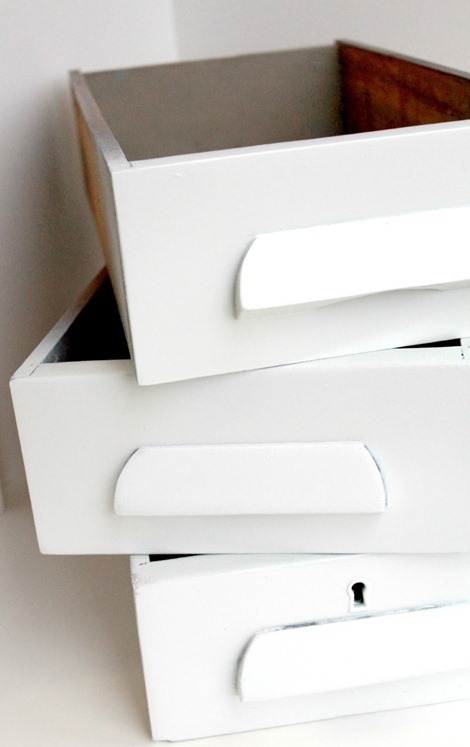 One of the projects I wanted to tackle was the ever growing number of drawers in out home that were very messy and unorganized! I have a small vanity in our master bedroom that houses my jewelry, scarves, perfumes … you know, pretty things. The three drawers in it however, were anything buy pretty … pretty messy & dusty. 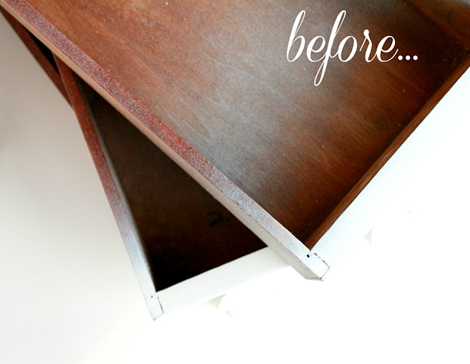 I bought the little desk at a yard sale for $10 so it needed a ton of sanding and some paint … spray paint actually, that left over-spray and dust on the inside of the drawers. 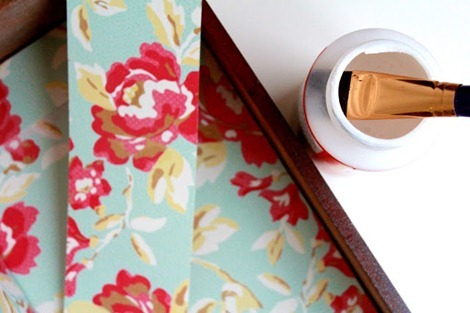 with fabric, scrapbook paper or even wrapping paper. 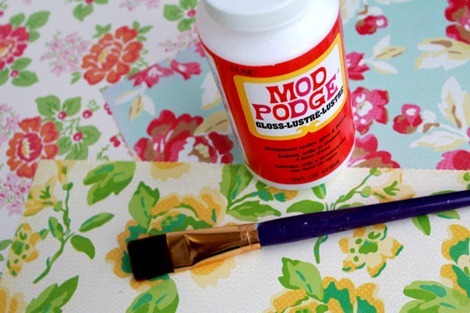 Make sure you have plenty of Mod Podge on hand along with a good paint brush or sponge brush. I like to use the Gloss finish, it leaves a shine making it a little bit more resistant to stuff that might be in the drawers. 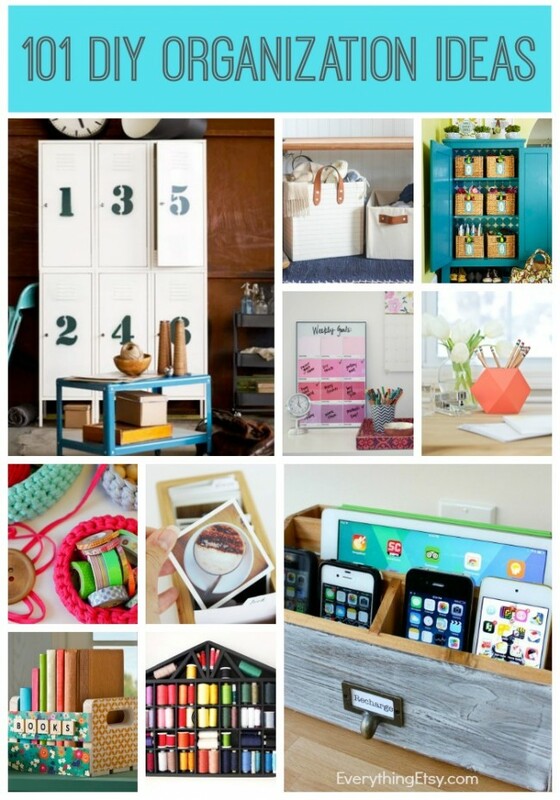 When done, re-think your storage options. 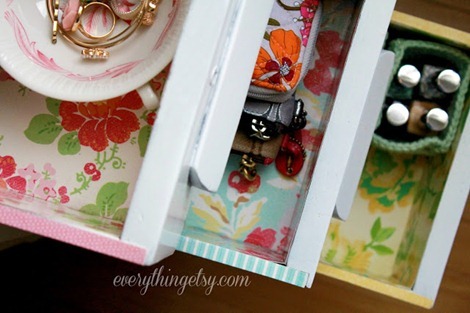 Since you now have the prettiest drawers, pretty storage is in order! I love to grab tea cups at thrift stores, just for those little things, like jewelry or nail polish. If you like to crochet, scour all the free patterns on Pinterest, for nesting boxes … flexible and easy to squeeze into small spaces. 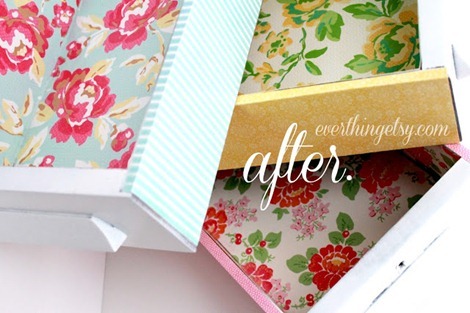 Now smile every time you open your drawers! 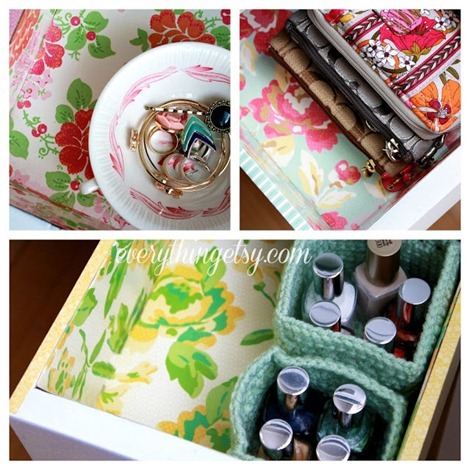 Looking for more organization ideas?? 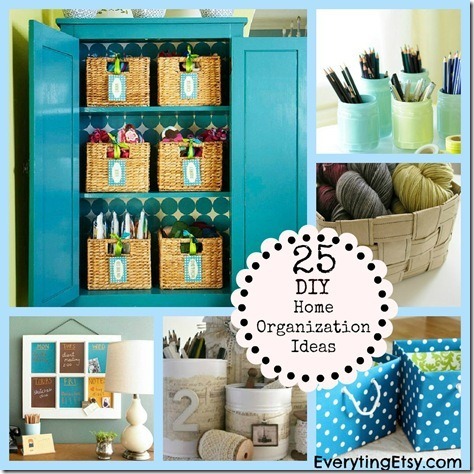 Check out this post of 25 DIY Home Organization Ideas! 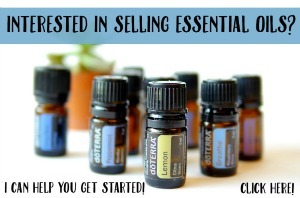 Have you been organizing?? 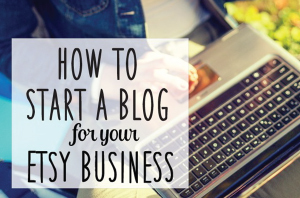 Care to share any of your tips? 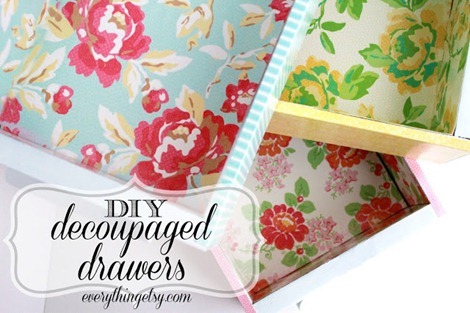 Love your drawers you did!! They are so pretty!! This is a really cute idea. What a change!! I love this paper, what a cute idea. Can you say where you got the paper? It looks so vintage and I totally love that look. Great combination with the accent papers also. I just found you from Raising Up Rubies. So glad I did! 10000K FF14 Gil in Durandal [JP Server] Sold, Customer Left the Review: I was delighted with the promptness in my gil delivery. Thumbs up!